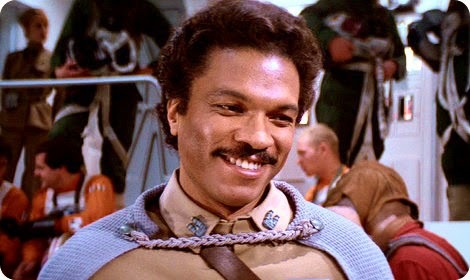 Did you know a late draft of Jedi's script had Lando dying? No, you did not know this because it is simply a Star Wars myth. Rumours continue to persist across the internet that Return of the Jedi featured a filmed scene where Lando Calrissian and the Millennium Falcon did not make it out alive from the bowels of the Death Star II. Legend then has it that when Jedi test audiences saw their second favourite space pirate die, they revolted and the producers let Lando live. THESE SCENES WERE NEVER FILMED. While it may have added some pathos to the ending of the trilogy, the third film was the happy ending of the story – having the Man From Cloud City die would simply have cast a pall over all the other excitement that was happening. But was it scripted that way? Did George and Lawrence Kasdan change their minds? “An excerpt from the screenplay that has Lando and the Falcon destroyed and Han looking up, quietly voicing his loss, has shown up on the Internet, but it too is a fake". That’s right – the idea is a fake, it’s misinformation that has spread from the minds of fan boys to the internet and refused to go away. Maybe but one that was not even seriously considered by the ROTJ producers.